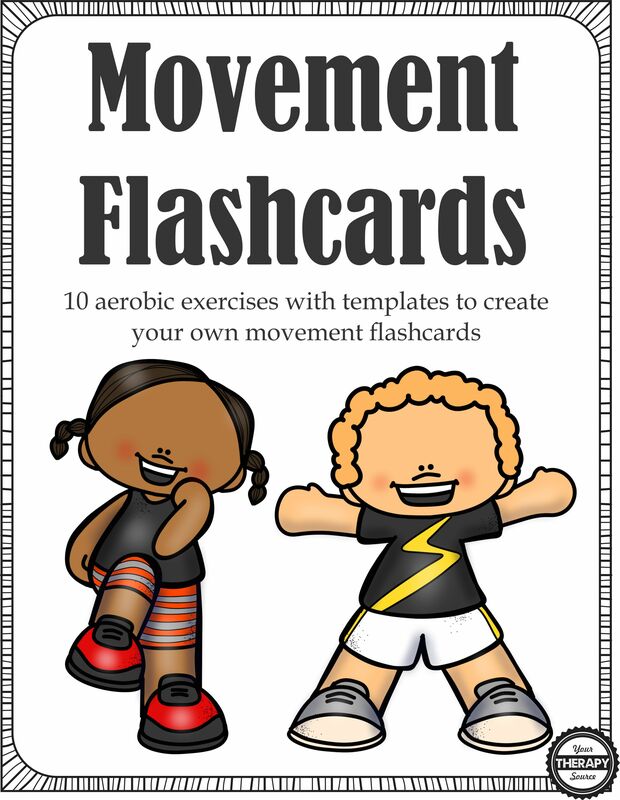 Movement Flashcards digital download includes 10 aerobic exercises with flash cards templates. 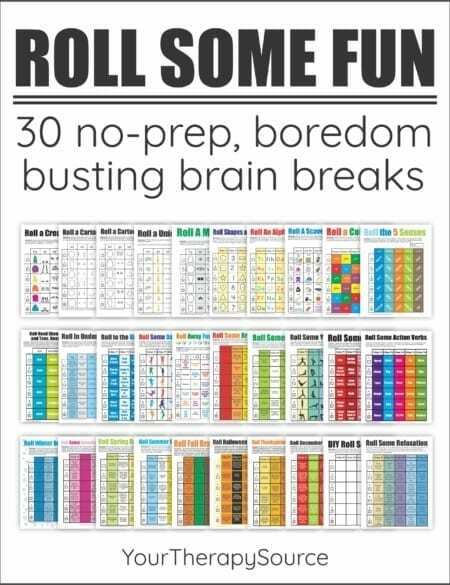 Students can get physical activity while reviewing material. The 10 aerobic activities include: run in place, jumping, hopping, squats, lunges, skipping, twists, cross crawls, jumping jacks and marching. 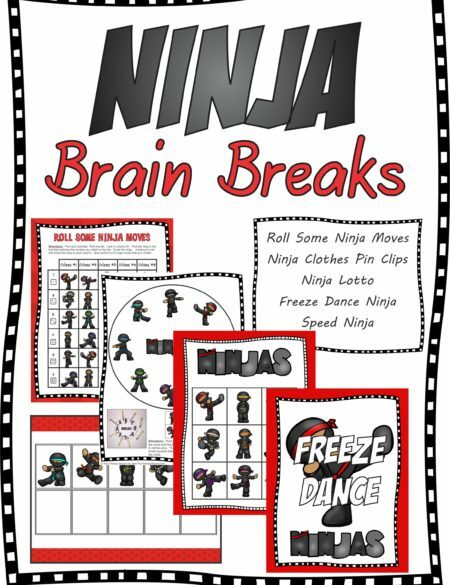 Each page includes a picture image of the aerobic exercise along with a blank template to type in 18 flash cards. You choose what to work on for academic material. 12 page PDF fill in PDF document that is delivered electronically immediately following payment. You need the latest version of Adobe Reader to fill in the document. 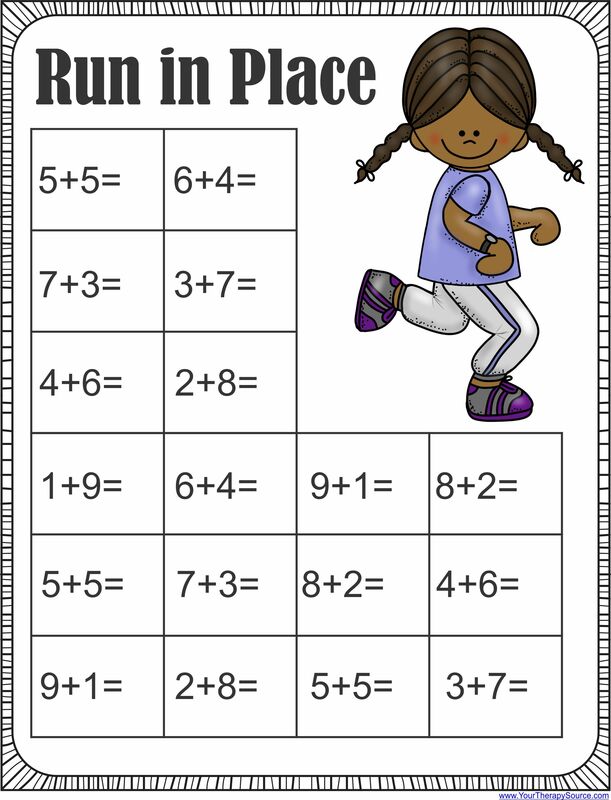 View a sample page that has been completed with math addition flashcards. 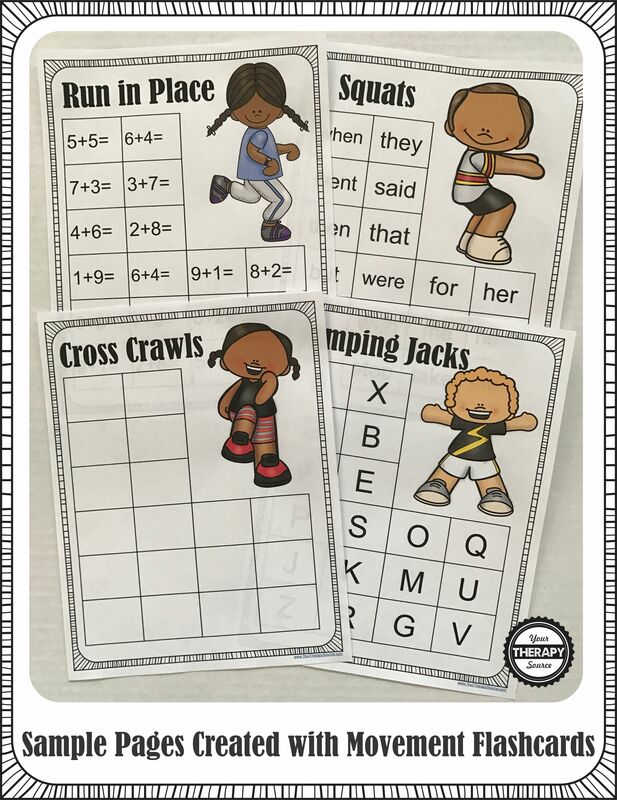 The Movement Flashcards are an excellent way to incorporate movement throughout the school day. Teachers can type in different content to practice and save the document with material such as math facts, sight words, letters, vocabulary word and quiz questions. 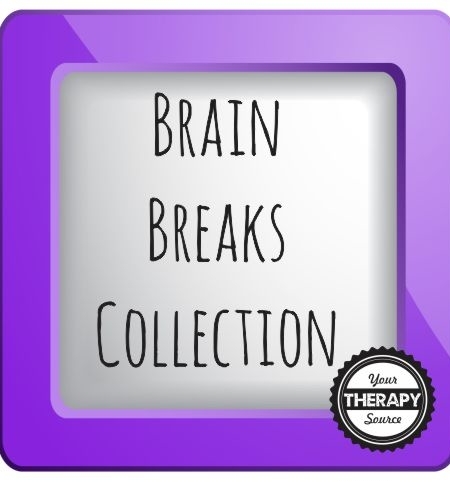 Students can perform the activity while solving the problems. 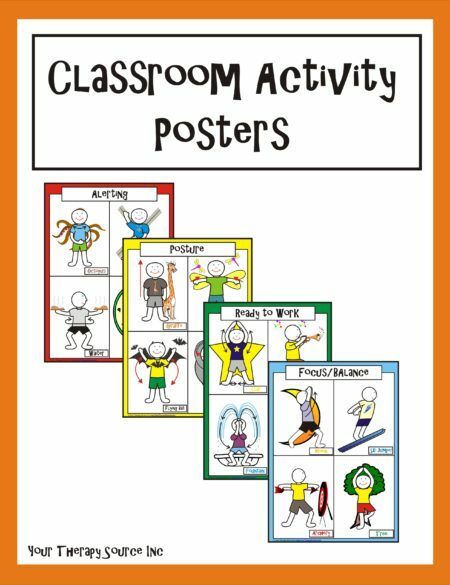 What an easy way to incorporate movement and learning! Research has shown that physical activity in children helps executive function skills, cognition, attention span, working memory, math skills and more. Read more here.